In a word, “WOW!” The Polldaddy.com “Plain White” poll style recently underwent an extreme makeover, courtesy of Gianna Luppino, Sharyn Banyan, and John Carles of StyleFind.com. 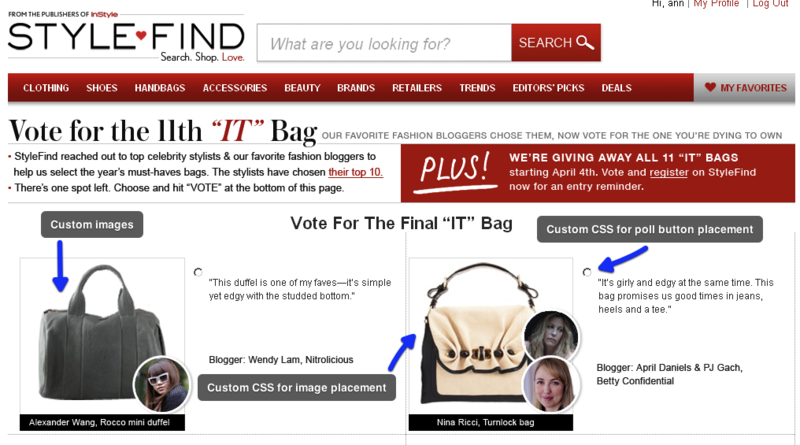 The team used custom images, and custom CSS for the “IT” Handbag poll that recently ran on StyleFind.com, asking readers to vote for their favorite celebrity blogger’s handbag. 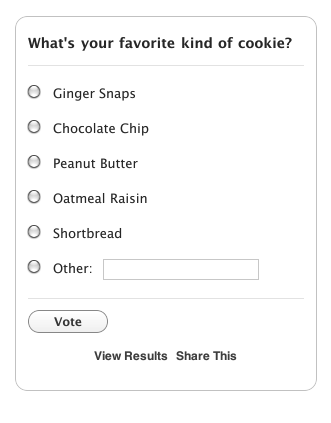 Here’s a great screenshot that shows the InStyle.com “IT” Handbag Poll in full. While the poll is closed, you can still check out the awesome handbags.